A full line of optical polishing pitch that comes in five hardness grades and can be easily mixed for precisely lapping virtually any optical mater-ial is available from Meller Optics, Inc. of Providence, Rhode Island. Gugolz Optical Polishing Pitch from Meller Optics comes in five grades from very-soft to very-hard with melting points from 52°C to 87°C, and is ready to use without screening, filtering, or mixing additives. All five hardness grades are fully compatible, allowing users to simply slice the amount required, melt, and pour to achieve their desired hardness grade. 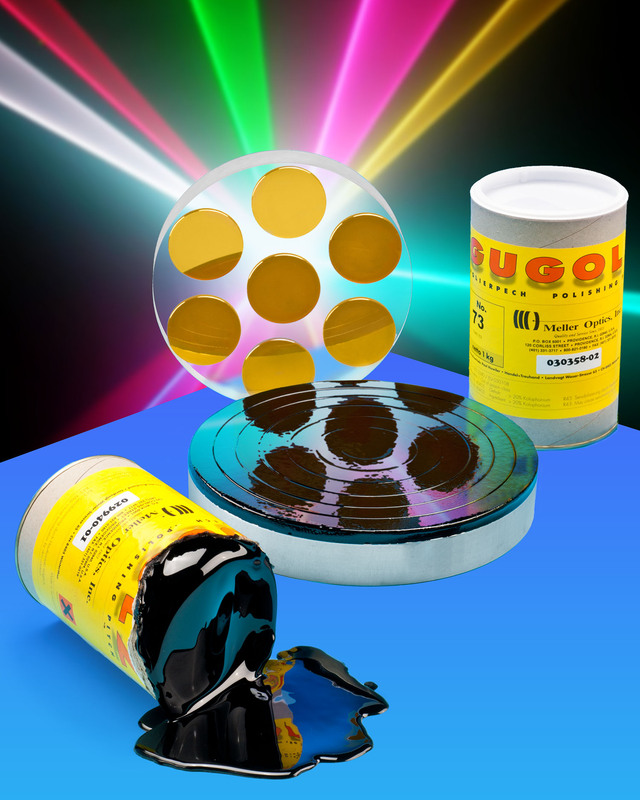 Made from all-natural wood resin rather than petroleum byproducts, Gugolz Optical Polishing Pitch helps prevent contamination of the polishing media and substrates. Ideally suited for blocking, lapping, and polishing, it can be used for applications with CaF2, germanium, quartz, ZnSe, ZnS, silicon, and other optical materials. Meller Gugolz Optical Lapping Pitch is priced from $21.00 per 1 kg. container; available in boxes of 12.